Until now, your personal wellness “to-do” list looked more like a “wish” list. But what if you could achieve your fitness goals, then relax with warm water hydrotherapy, all in one place, right at home? The E2000 delivers on that promise. 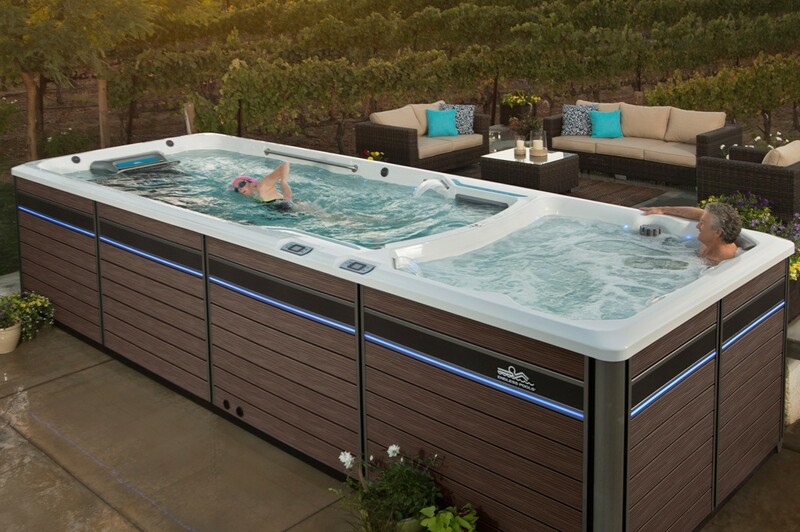 The E2000 boasts the industry’s best swim-in-place experience, now with a dedicated spa side, so you can regulate temperatures on both sides, independently. We’ve paired the industry leading Endless Pools Swim Machine with our optional underwater treadmill, low-impact exercise equipment plus relaxing warm water hydrotherapy. Swim, run, exercise and then relax, all in the privacy of your backyard, any time you want.